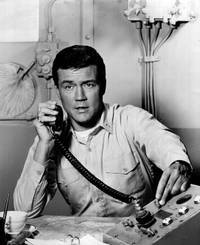 Roger LaVerne Smith (December 18, 1932 - June 4, 2017) was an American television and film actor, producer and screenwriter. He starred in the television detective series 77 Sunset Strip and in the comedy series Mister Roberts. Smith went on to manage the career of Ann-Margret, his wife of 50 years. This webpage uses material from the Wikipedia article "Roger_Smith_%28actor%29" and is licensed under the GNU Free Documentation License. Reality TV World is not responsible for any errors or omissions the Wikipedia article may contain.